← Teardrop Dreams… Coming True! I love ruins, so when I found myself in Flagstaff, Arizona with three hours to kill before I could pick up my Grand Canyon cohort at the tiny Flagstaff airport, I decided to make a mad dash south to Camp Verde to see Montezuma’s Castle. 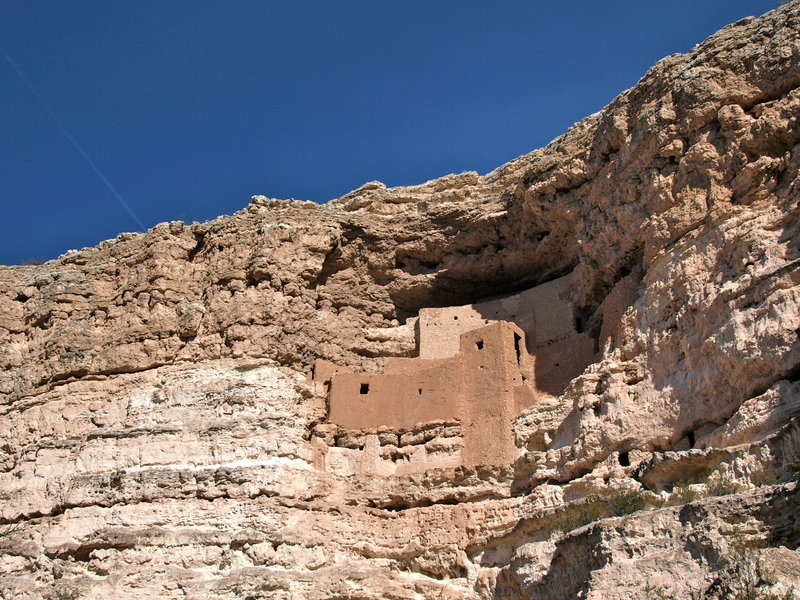 Montezuma’s Castle has nothing to do with Montezuma, the Aztec emperor who reigned in Tenochtitlan, Mexico long after these cliffside ruins were abandoned. The misnomer was coined by white explorers who rediscovered the ruins in 1860 and reasoned the spectacular place must have been built for a king. 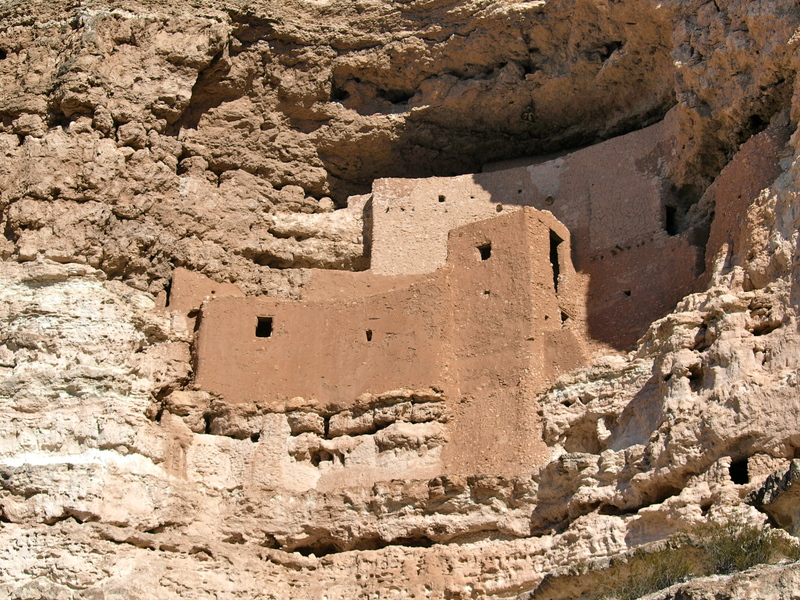 The cliffside complex, one of the largest and best preserved cliff dwellings in North America, was actually built around 700 A.D. by the Sinagua “No Water” people and abandoned 1485 A.D., likely after a long period of drought. Montezuma II, who lived and ruled from 1466 until he was killed by Spanish Conquistadors in 1520, had nothing to do with it. 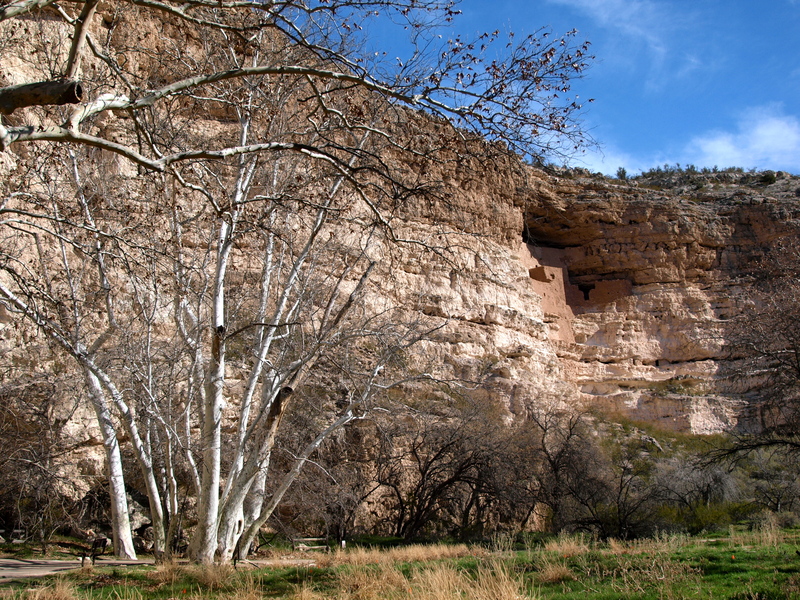 Montezuma’s Castle is protected as a National Monument. Visiting the castle is easy: you can drive almost right up to the ruins, which are visible from a paved walkway. Gone are the days when you could climb ladders up into the ruins, as tourists did in the early 1900’s, as the Sinagua people did centuries ago. Getting here might not be an adventure, but the reveal is breathtaking: the natural curve of the limestone cliff hides the castle until you’re almost underneath it. I was walking down the path, wondering where the heck the ruins were and questioning whether they could possibly be as spectacular as I had heard, when a towering palace perched precariously on the cliff face suddenly appeared above me. Now I know why they never renamed the place: it really does look fit for a king! For more on ruins check out my previous posts Cerrillos Ruins, Happy Birthday Machu Picchu, Castles in the Rain and Cedarvale Ghost School. This entry was posted in Hiking!, Photography, Road tripping!, Sustainable Living and tagged Montezuma, National Monument. Bookmark the permalink. I thoroughly enjoy your posts and bringing the beauty of the southwest into my living room. Keep up the great work and thanks for sharing. Delightful! Oh, how I miss living in New Mexico 😦 Thanks for the photographs! Nice photos. I love ruins too. Arizona is a great place to see them! 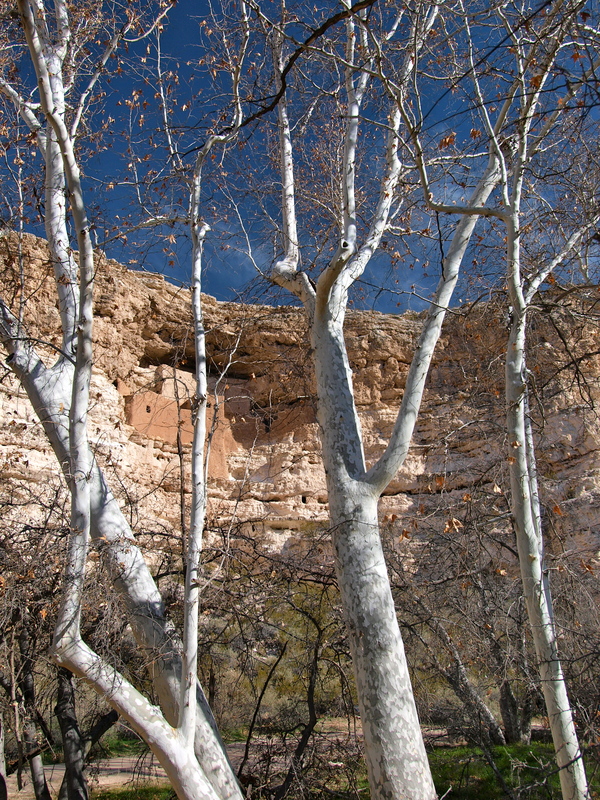 Have you ever visited New Mexico’s version of Montezuma’s Castle? It’s really in Montezuma! Not very far from Las Vegas (New Mexico…not Nevada!) The hot springs that sit within sight of the castle are wonderful!